Without knowing the context or history of the book, I would say that Suite Française is a remarkable story with a lot of potential to be great. However, it’s ending seems unfinished, and the characters and story not developed to their fullest extent. 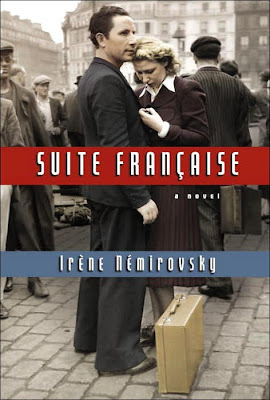 Well, that evaluation is truer than you think – Suite Française, by Irene Nemirovsky, was still in progress when the author was deported to a concentration camp and killed. Her daughters saved her manuscript and copious notes, which finally re-surfaced to be published in 2006. True story. So really, by reading this book, you get two stories for the price of one. The one written by Nemirovsky chronicles the German invasion of France (from the French prospective). And the one “written” by historical events tells the story of Nemirovsky herself. In Part 1, “Storm In June,” Nemirovsky tells of the mass exodus from Paris, from the point of view of 5 different people of varying social status. Part 2, “Dolce,” lulls the reader into the gradual comfort of the German occupation. Occupying forces inhabit the country villages, and as the villagers become accustomed to their conquers, the line between French and German, friend and foe, begins to blur. And then the narrative ends. Unfinished. Leaving you wanting more. However, the pessimistic tone can be explained (and even justified) by the author’s experiences while writing the book. Nemirovsky’s family was exiled from Russia when the Bolsheviks took over after the First World War. 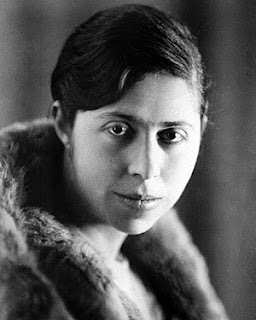 They took refuge in France, and Nemirovsky considered herself French, and her family Catholic. However, she was of Jewish ancestry, and suffered the torments of a Jew in Europe under Nazi rule. While composing her Suite (she imagined that the book would be like a 5-part symphony, divided by rhythm and tone, about 1,000 pages long), she attempted to shore up her family against the anti-Semitic onslaught. Nemirovsky’s writing style involved extensive notes and character development pre-writing. Thus, her surviving notes give readers insight into her plans for the book. The book (Parts 1 and 2) is good on its own, but I strongly recommend you read the Appendices and the “Preface to the French Edition”. The first contains her notes. The second is a series of letters, tragically chronicling her husbands search for after Nemirovsky’s arrest. And the Preface tells the story off Nemirovsky’s life from the 3rd person perspective. Sisyphus, you will need all your courage. I finished this book feeling profoundly sad. Sad for WWII, sad for the Holocaust victims, and most of all (and this is entirely contextual and selfish), sad that Nemirovsky died before she could finish this potentially amazing book.